For years the NBA has overvalued potential and undervalued production come draft season. The 2017 NBA Draft was a microcosm of the trend, as the top 11 players had one year of college experience or less. Some of these players were productive in a small sample size, but all of them were drafted on potential. De'Aaron Fox showed flashes of brilliance in his lone season at the University of Kentucky. He put on a show in the tournament, which helped skyrocket him up most draft boards and the Kings were more than excited to see him fall into their lap at the fifth overall selection. 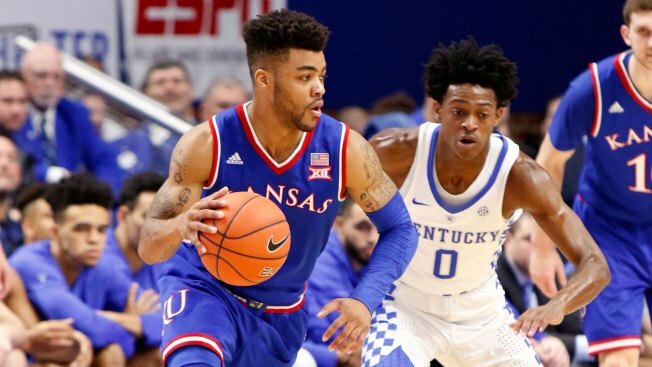 In comparison, Frank Mason III spent four years building a resumé at Kansas. He finished his senior season averaging 20.9 points and 5.2 assists per game while shooting 47.1 percent from 3-point range. Mason's numbers were good enough to earn him AP Player of the Year, the Oscar Robertson Award, the Naismith College Player of the Year Award and plenty of other accolades. His trophy case is stuffed full, but that didn't stop him from falling to the fourth pick of the second round, no. 34 overall. Maybe it isn't fair, but it is the reality of the situation. At 19-years-old, teams are predicting that Fox can be a star. At 23, Mason is considered a finished product with little room to grow. Fox is lean and athletic. He can run the floor as well as anyone in any league, but he has plenty to learn about the game of basketball. He is already being billed as a franchise cornerstone before he's even played a single game in the NBA. His potential on both ends of the court is elite. Mason is described as tough, NBA ready and mature. He lacks Fox's size and length, but he makes up for his shortcomings by playing with heart and moxie. His leaping ability and leadership qualities will win fans over quickly. While Sacramento is pinning its hopes for the future on Fox, that doesn't necessarily mean that Mason is out of the picture. Both players will fight for minutes behind starter George Hill. Don't be shocked if Mason plays a bigger role than Fox in certain games. Potential is a word for front office staff. Once the ball is tipped, Dave Joerger will go to the players that give him the best opportunity to win. He will side with production and in year one, Mason is the most game ready. He may not have Fox's ceiling as a player, but he is likely better prepared to fill a role. With three point guards on the roster, Joerger also has the option of playing either Hill or Fox at the shooting guard position. This could potentially open up more than just 48 minutes for the trio. Having options is a good. Mason's presence on the roster, in addition to Hill's, allows the coaching staff to bring Fox along at cautious pace. They can take their time teaching him the game, knowing that they have another able body on the roster. There will be a time when Fox is turned loose on the NBA. It might be 20 games into the season or it could be 100 games into his career. In the meantime, don't count out Mason as an important figure on the 2017-18 Kings rotation.